It has finally happened. After Iron Man was released in 2008 and arguably started what is The Golden Age of the superhero movie, we now have a female-led superhero film and who better than Diana Prince herself: Wonder Woman. 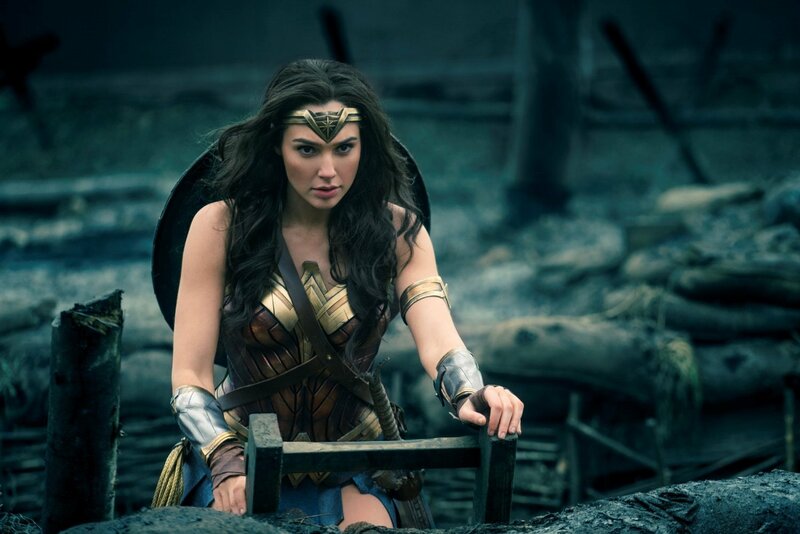 It would have been easy for DC to simply phone this in and use the momentum of the female-led superhero film to gain the traction this movie would need but there is something special hiding within the Wonder Woman origin movie – only it doesn’t last throughout. The promise is shown very well from the beginning and it is clear that this character is something special. The history of the all-female island of Themyscera is explored fantastically, with storng, well-rounded characters helping to shape the young would-be hero. 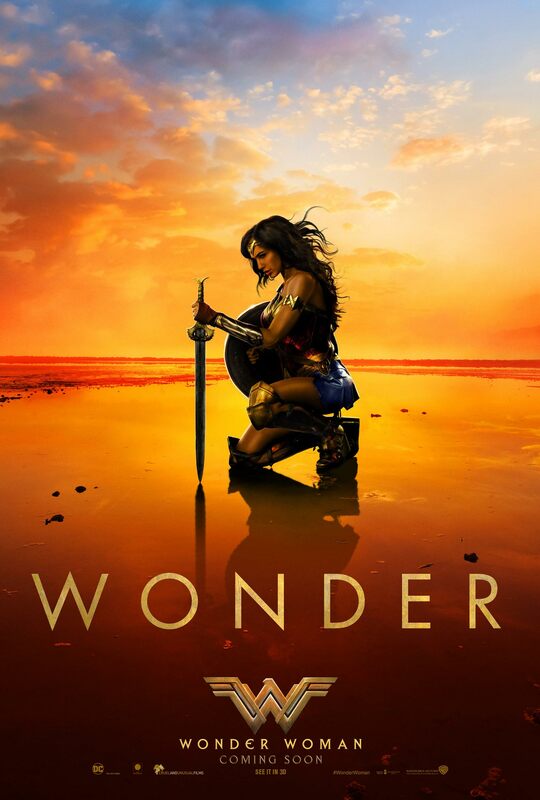 From warrior Antiope played by Robin Wright through to over-protective mother Hippolyta, played by Connie Nielsen, this opening act is full of fun, original and something innovative moments for a superhero movie. The training and final action sequence that makes-up the opening act are exciting to watch. 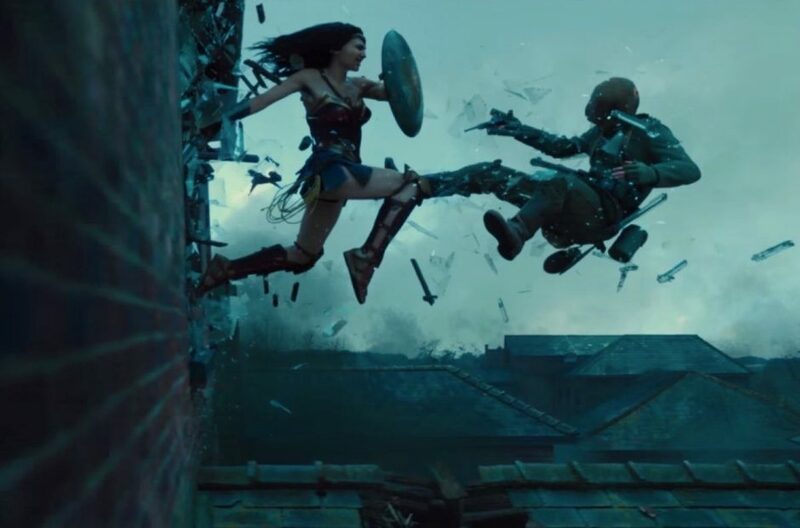 Wonder Woman and the Amazonians versus the German troops of The First World War is an effective set-piece and a great early example of the skills that Gal Gadot’s character would go on to use throughout the film. It also gives the story the original hook it needs – World War 1. Using an event so steeped in history but rarely seen on-screen (especially compared to the Second World War) was a good idea. It adds some intrigue and direction for a movie which is following in the footsteps of so many origin stories before it. Although comparisons can be drawn with Captain America and his use in a world conflict, Wonder Woman manages to be different and it works, although at times can feel quite close to the edge of appropriating history, which could offend some. This great mix culminates in a fantastic set-piece which sees Wonder Woman and a small band of renegade soldiers free an occupied town. The clash in styles is a unique sight and works effectively because it is unlike anything we have previously seen. It is just unfortunate that from there we fall into the same generic superhero origin movie traps. Superhero films are a genre which is over-saturated and the origin film even more so. In this regard, once the setting and World War are left in the distance, the film offers little new. There is a generic villain with a fantastical world conquering plan which only Wonder Woman can stop. This leads to a huge, mindless finale which is more destruction than actually substance and manages to mean very little in regard to emotion or feeling, which the audience did have after act one and two. The saving grace for the whole movie is Wonder Woman herself, Gal Gadot. Her casting is genius and she is fast becoming the strongest aspect of the whole DC Cinematic Universe. Echoes of what made her appearance the best part of Batman V Superman are all over this movie, including that awesome guitar-led soundtrack which seems to follow her every action set-piece. In that sense, Wonder Woman does what it needs to. It introduces and fleshes out a main player in the new superhero-team-up Justice League. It didn’t necessarily have to rewrite the rule book to do it either which is why it is no surprise that it became a safe, if somewhat generic, superhero origin movie. Overall, a rare success for the DC Cinematic Universe but one which was achieved by largely playing it safe. The opening is fantastic, creating a world which is new and setting it during the First World War makes it unique, if only for the first two thirds of the movie. After that, it falls into the same generic superhero origin movie traps and becomes another faceless movie among the crowd that seems to be growing with every passing summer.